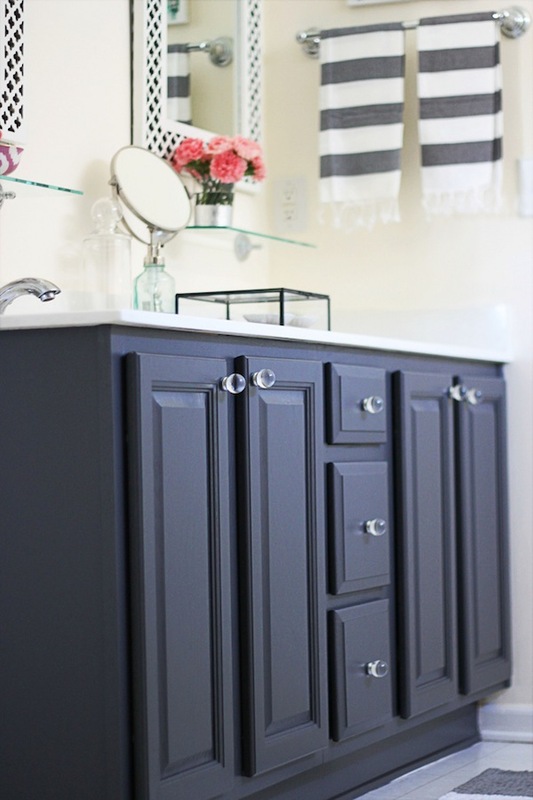 This week we will be revisiting past #projectkidsbathroom posts leading up to the BIG REVEAL of the finished bathroom! I know you have all been waiting and I am finally ready to share the space! So join me each day this week as we look back at all the project we've done! Do you remember this bathroom from the House Goals & Tour post? "don't it make your brown eyes, blue.."
...nothing like a little Crystal Gale music to make a point, right? I've decide this is my next project. Although I would love to gut paint our kitchen right now, I feel like this little bathroom is better suited to a remodel. You may notice the only thing not on the list is a counter top. 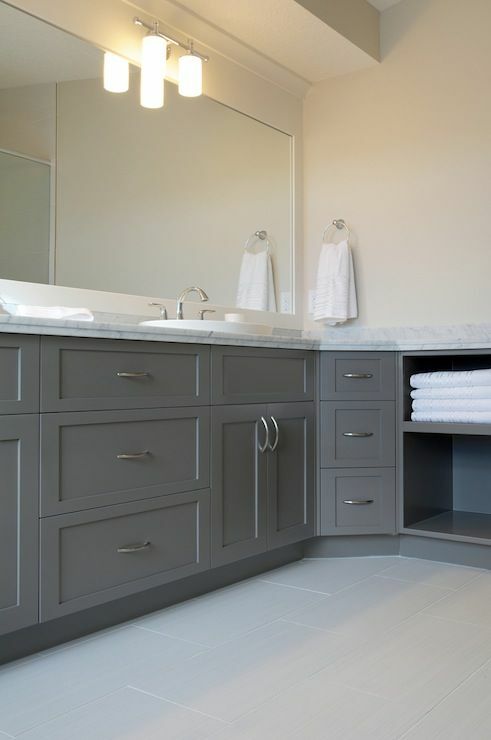 I'm **HOPING** the white tile will look good against a charcoal colored vanity. 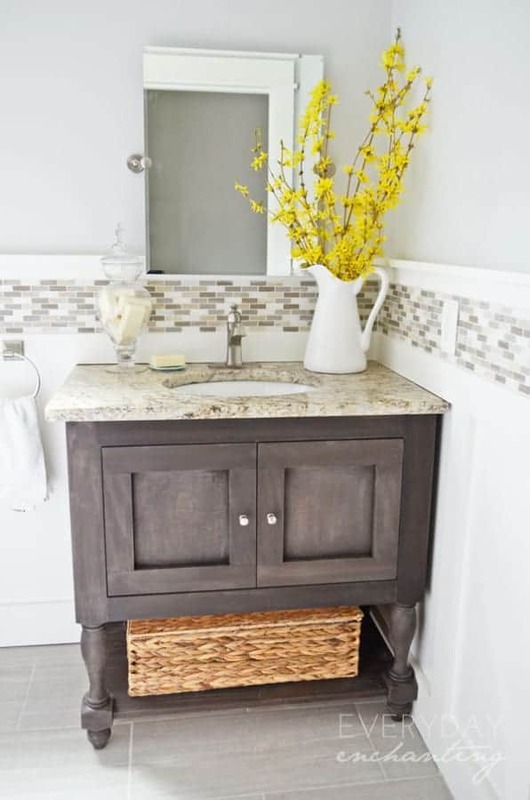 Obviously, I would love some sort of solid surface, but we all know that can be one of the most expensive things in a bathroom remodel. 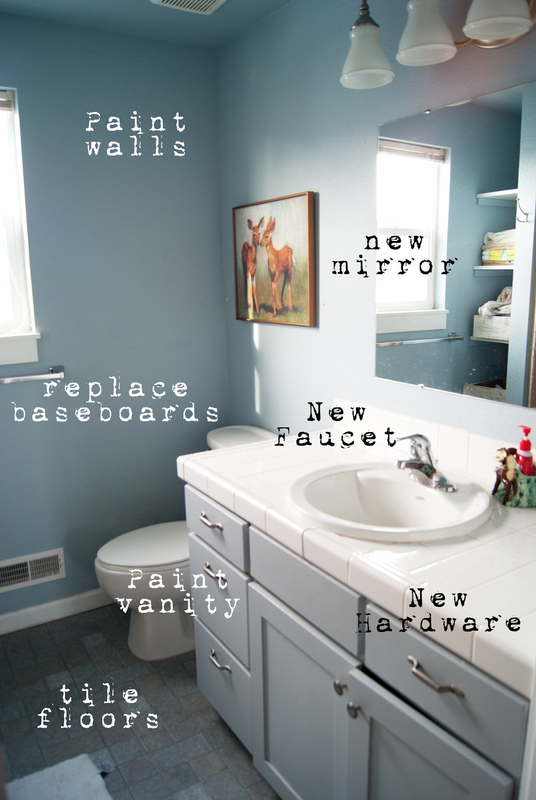 I hope to have the vanity spruced up to show you by Monday! Who knows, maybe we will even get tile in this weekend! Any suggestions for this space? Have you been following #projectkidsbathroom?